A small little cart, tucked between shops makes these soft and fresh bubble waffles. They're made with eggs in Hong Kong, but these guys have created an awesome vegetarian version! 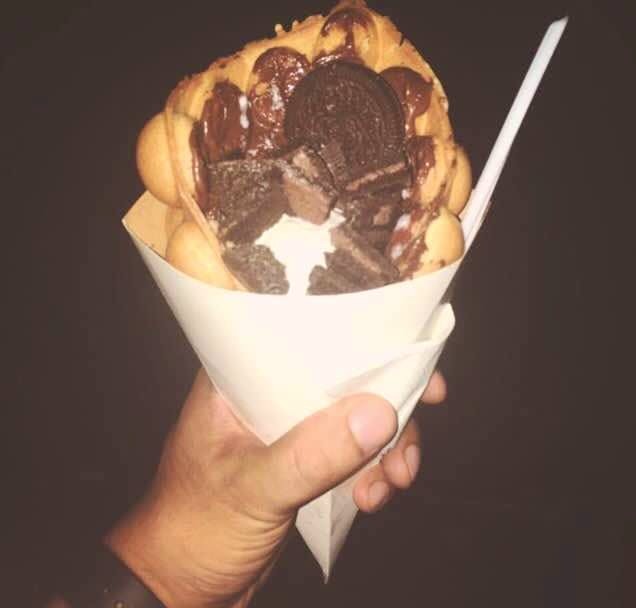 Plus, they serve eggless Bubble Waffles! And they have Matcha waffles too. Choose from Oreo, KitKat, and more. You can even make your own Waffle. Delicious isn't it? Priced at INR 120 to INR 160 on an average. Also, it's a small cart & you might miss it! Until you actually cross opposite CCD and walk into the shop next to Carter's Blue!